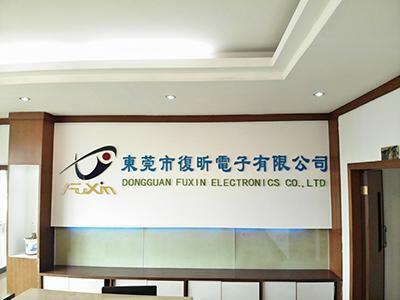 Established in 2004, DongGuan Fuxin Electronics Co., Ltd. is a highly dependable manufacturer of telecommunications connection products. We offer customers ADSL filter splitters, telephone adapters, USB cables, audio video cables, fiber optic cables, network cables, wire harnesses, and much more. Our products are sold in more than 70 different countries and regions throughout Europe, America, Southeast Asia, and the Middle East. In an effort to minimize production costs and improve overall production efficiency, most of our raw materials are purchased from suppliers located within 20 kilometers. This helps us save on transportation costs and helps us more carefully control the quality of raw materials. We have many raw materials suppliers to choose from and we carry out very strict analysis during the procurement process, only choosing premium materials to ensure the quality of our products. 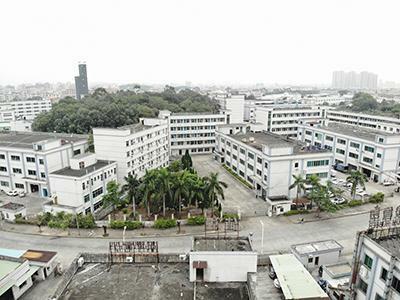 we have a production base of more than 3,000 square meters outfitted with over 20 pieces of large processing equipment, including a vertical injection molding machine, horizontal injection molding machine, punch press, high-frequency blister packaging machine and ultrasonic blister packaging machine. We also have backhand welding lines, wave soldering lines, various assembly lines, and packaging lines. Fuxin also has 25 sets of testing instruments such as an electroacoustic tester, spectrum analyzer, network analyzer, oscilloscope, signal generator, and various high-precision multi-channel wire testing machines, which not only guarantees production efficiency but also ensures the quality of molding and finished products. It also allows us to complete the production tasks within the specified time period. Our company produces 3.5 million xDSL filters, 5 million telephone plugs and 10 million finished wire products every year, meaning we can solve the urgent needs of customers with large-volume orders. In our view, just the guarantee of raw materials and equipment is far from enough. Human eyes are also a key factor to determining the quality of the product. Therefore, we employ expert technicians who have 10 years of experience in our company and can organize the production plans according to the different requirements of customers and complete the tasks within the scheduled time. Through continuous efforts, we have obtained ISO9001: 2000 certification, QC08000 certification, ISO9001: 2008 certification and ISO9001: 2015 system certification. Up to now, we have obtained BELKIN production authorization, passed the audit of the Philex factory, and passed the SGS JAC factory audit. We have been pursuing and improving upon our ISO9001 quality and QC08000 hazardous substance management system to provide customers with high value-added products. 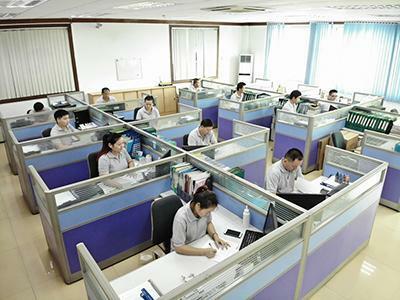 As a manufacturer of telephone accessories, we have rich production experience. Strict control on raw materials, plentiful production equipment and quality testing machines and our experienced staff will provide you with the best possible service to satisfy your requirements. If you want to buy ADSL filter splitters, telephone adapters, USB cables, AV cables, fiber optic cables, network cables, wire harnesses or other communication parts, you are more than welcome to contact us!